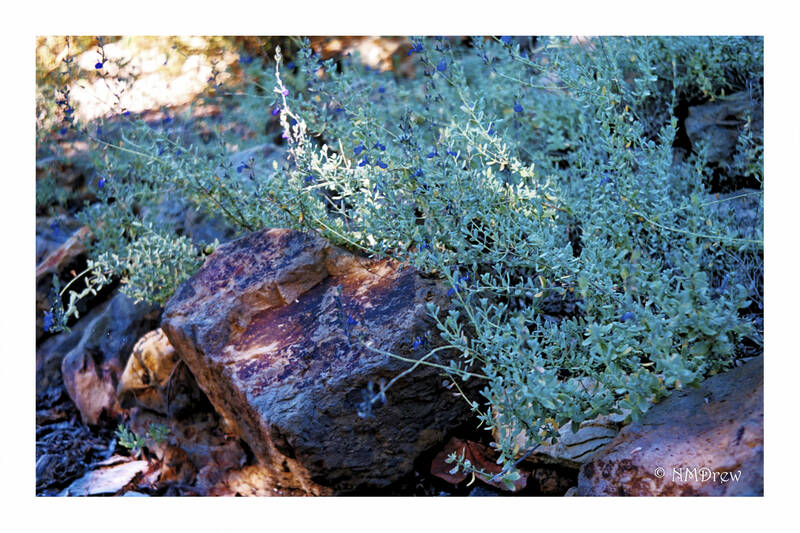 I’m not really sure what kind of plant this is – maybe a salvia – but it has the most lovely little, blue flowers on it. They sort of got lost in all the bluish-green foliage. This entry was posted in Glimpses and tagged 35mm, blue flowers, Ektar 100, film analog, Kodak, Olympus Trip 35, photography, plant. Bookmark the permalink.